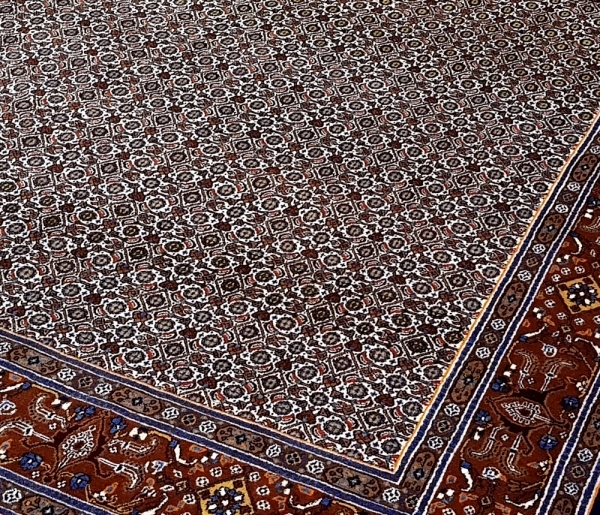 Persian carpets from the area around the city of Moud in north-eastern Iran are available in various types of pattern. Some have an all-over pattern, with a medallion, while others have a garden pattern which can be recognised by its small squares with horticultural design elements. 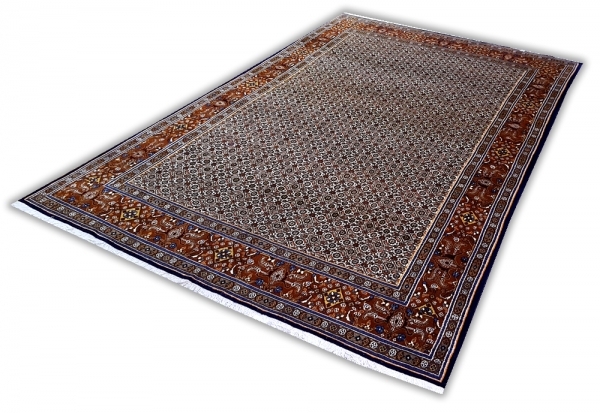 These Oriental carpets are hard-wearing, and are made using high-quality wool.